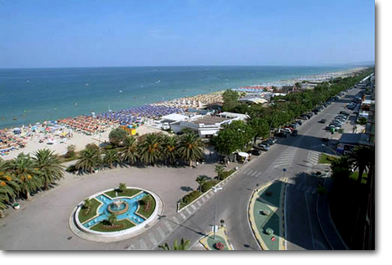 Alba Adriatica is a famous holiday resort and one of the most visited city in the whole territory of the Abruzzo region. Every summer it welcomes over 30 thousands tourists, amazed by the wide sandy beaches, long cycle tracks and especially by the nightlife. The promenade by the sea is very famous. 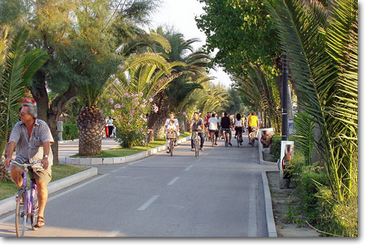 It is an oasis of 3 km fully surrounded by palms, pines and oleanders. During summer nights it becomes the perfect place to have fun between stands, or ice cream shops in the open air. You can also blow up to the rhythm of music in beautiful clubs under the stars. The summer Carnival and street artists festival are two important events you can’t miss. There are others very attractive activities such as: important Kermesse, cultural events, concerts, musicals, cabarets, dances, puppets, fashion shows, meetings with bestsellers writers, wine and food meetings and national sport events. All of this satisfy desires and expectations of the welcomed guests. 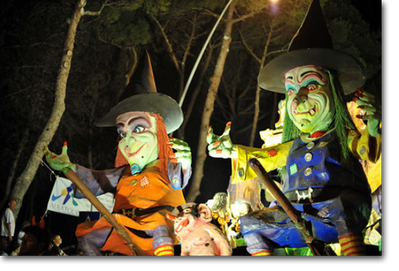 The area is also known for the food that has adapted and revisited traditional dishes to the taste of our day. Many local restaurants that keep this culinary tradition both land and sea. The kitchen is accompanied by a wine production of excellence that besides the famous "Montepulciano d'Abruzzo" has many other quality wines.